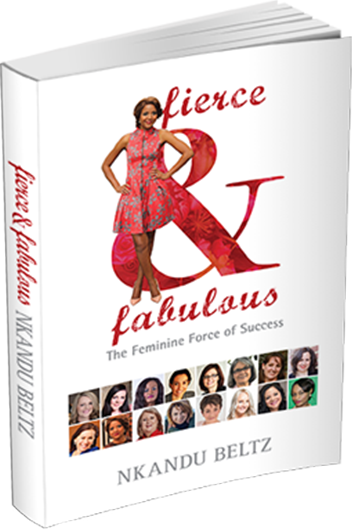 Fierce and Fabulous - The Feminine Force of Success, is a dedication to the lives and achievements of extraordinary women who are changing the world. It is a book that shares the reality of what it means for women to be in business today and how adversity can become a driving force for business, community and change. This book is about having deeper conversations with inspiring women about the real issues women in business are facing; how to go from struggle street to success street; and how these women overcame adversities to live their dreams. This is a collection of stories of 16 truly inspirational women. These women add value to the lives of others; they play a bigger game and work smart. They are experts in their fields and the books curator Nkandu Beltz finds out why they do what they do and the change they are creating. 'Fierce and Fabulous’ has a bigger vision to inspire positive change for women in Australian and Globally. We want to do everything we can to empower women and provide a strong message of support through the sharing of stories, so that it will inspire and encourage readers to take action and pursue what they have always wanted to do. Join us to hear the curator, whose vision of ‘Fierce and Fabulous’ brought together the women in the book. Nkandu Beltz speaks about rising above the limits that were placed on her as a black African woman and her desire to inspire young women to their greater selves. Nkandu now resides in Australia as an Australian youth mentor, speaker, author and entrepreneur. Nkandu established the Youth Empowerment Program Australia using techniques born out of African philosophy. The ladies in this book are living examples of people who turned their dreams and desires into reality using the wonderful vehicle of direct marketing / network marketing. The ability to be your own boss, charter your own future, work with like-minded people to guide you along the journey and have the support of leaders around so you can achieve your goals is the true essences of network marketing. Have you ever wanted to have a business with flexibility, fun, freedom and personal growth? Have you ever felt like you are on the treadmill of life trying to balance your home, family and career and have nothing left for you? Do people think you are too young to run a business? Have you asked yourself where your life will be in 5 years? 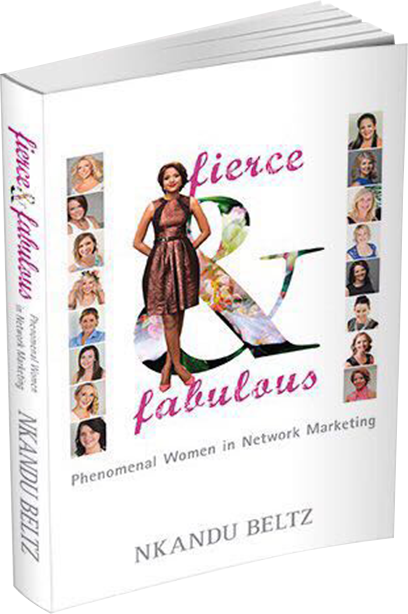 This book could change your life forever just as it has for the 15 amazing women who feature in this book. Each woman has a unique story of success. Every one of them has experienced hardships and adversity. But it isn’t about their setbacks, it is about their comebacks that creates the essence of this book. Steph Bartram, Chelsea Dolby, Emily Loughnane, Jacqui Way, Kaitlyn Cummins, Kristy Davidson, Lisa Ciurleo, Michelle Ryan, Rachel Lubcke, Sharon Wilkes and Tarnee Rowan. Imagine a world where we all cared for each other a little more. A place where we are a little kinder and give what we have, even if all we have to give is a smile. Nkandu Beltz discovered from an early age that it's in these little acts of kindness that we each have the power to make a positive and lasting change in the world. For over two decades, this passionate human rights activist has been a voice for the voiceless, and has found the courage to stand up for those who could not stand up for themselves - and yet she still has so much to give. Growing up in Zambia, Nkandu was acutely aware of the social disparity she and many others faced. The injustice was overwhelming for the free-spirited young girl, and not something she could easily ignore. Encouraged by her father to stand up for what she believed in, Nkandu began petitioning for girl child rights. She was just ten years old. Making change in the world is in everything she does. Whether she's mentoring young people, developing a new community program or raising awareness for important issues like HIV/AIDS and domestic violence, Nkandu is devoted to helping others live a better life. Her incredible journey has led her across the globe to Australia, where she now lives with her husband and three children in country Victoria. It's here, supported by her family, that she continues her mission. This social change-maker, philanthropist, speaker and author has been recognised for her work in community groups across cultures and in developing successful initiatives, such as the Youth Empowerment Program Australia (YEPA). Among her greatest accomplishments are the opportunities she's had to meet and interview a number of important social leaders, including his Holiness the Dalai Lama. Though, for Nkandu, these achievements are all part of a bigger picture. Inspired by her mother's determination to provide for her family in a tough economic climate, Nkandu believes that we all have the power make the best of any situation. Throughout life, we are confronted by our own set of challenges, but it is how we choose to act in these situations that leads us to greatness. The key is never giving up. As a member of UN women, Nkandu is particularly passionate about empowering women with this message. After sharing her own personal experience facing up to social injustice in her book I Have the Power, Nkandu brings us Fierce & Fabulous. We are now collecting stories of 16 dynamic and exception women to be part of the third series of the Fierce and Fabulous Movement. The last two books have been successful in making an impact around the world and they are now distributed in more than 50 countries. There have been workshops in Africa, Australia, Europe and the Middle East. The aim of these books is to empower women and girls by sharing our stories. 8th of December- Submission of First Draft. Copyright © 2018 - Fierce and Fabulous - All rights reserved. Design & Developed by : JR Technologies.